Apple released the iOS 12 beta only about a week ago, and a week later, it has already been jailbroken on the iPhone X by none other than Liang Chen of the Tencent Keen lab. In their demo for the iOS 12 jailbreak, the security researchers led by Chen installed Cydia, which took less than a minute to download and needed no other hardware. 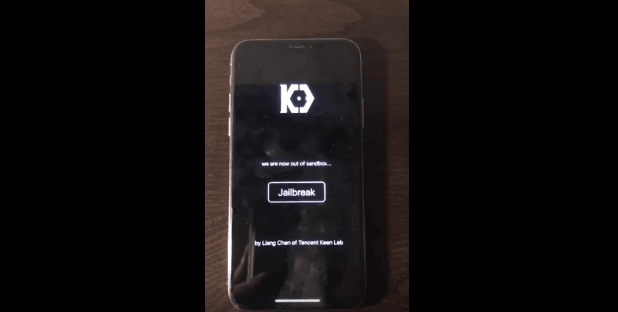 iOS 12 jailbreak – is it real? Jailbreaking the iOS devices have become tougher with Apple boosting security features with every update. There are, however, some exceptionally talented hackers out there who find one or another way to open up the device. Chen announced his feat on Twitter, but did not provide any additional information except for a link to a video showing the iOS 12 jailbreak in progress on the iPhone X. The same video was uploaded on YouTube as well. As was expected, many referred to the iOS 12 jailbreak as a “fake” saying such a thing is not possible, since the process requires a Cydia update from Jay Freeman. However, those familiar with Chen, Marco Grassi and the Tencent Keen Lab team would understand that it is not fake. In the video, Chen even goes into the Settings app to prove the device is running the iOS 12. Though the jailbreak is real, the team would not make the work public. Rather, the group would earn a profit by pointing out the loopholes in the beta version to Apple. So, there are good possibilities that the loopholes will get fixed in upcoming betas. It is worth noting that Chen and team developed the iOS 12 jailbreak technique when other known hackers are still to develop a jailbreak for the iOS 11.3.1 update. The Tencent Keen Security Lab, which was set up in January 2016, performs security research on various operating systems ranging from Apple iOS to Microsoft’s Windows 10. The Jailbreak for the 11.3.1 is being developed by Coolstar, who is currently giving final touches to the tool. The Apple iOS 12 jailbreak may not be the only bad news for Apple. Just a few days back, a group claimed that they could break into Apple’s latest protection feature that came with the iOS 12. Grayshift, the company that offers intelligence services access to information on a confiscated smartphone stated that their experts were able to crack the USB function restricted mode, which does not allow unlocking the iPhone via the USB connection if the user does not enter the password for more than an hour. The Apple iPhone jailbreak was seen as a necessity sometime back when the company largely restricted the functionality and gave less control to the users compared to the Android. For those who wanted their super expensive phone to perform all the functions they wanted, jailbreaking was the only option. But a big question now is – with Apple continuously improving the OS and its features, is jailbreaking still a feasible idea? Well, the answer is yes, because some users still don’t get all that they want from the iOS. Hence, they anxiously wait for the jailbreak. Nevertheless, a lot has changed with the iOS now offering broader patterns of use, and the trend is expected to continue with the iOS 12. To overcome this, Apple will make use of HELO (Hybridized Emergency Location), which identifies a mobile 911 caller’s location using cell towers and information from on-device data sources such as GPS and WiFi Access Points. “When every moment counts, these tools will help first responders reach our customers when they most need assistance,” said Apple CEO Tim Cook. Former chairman for the Federal Communications Commission (FCC) Tom Wheeler said that Apple’s new approach for locating 911 calls would set a new industry standard. “This is going to save a lot of lives,” said Wheeler, who is also a visiting professor at Harvard University. Apple iOS 12 will release this fall, probably by September.